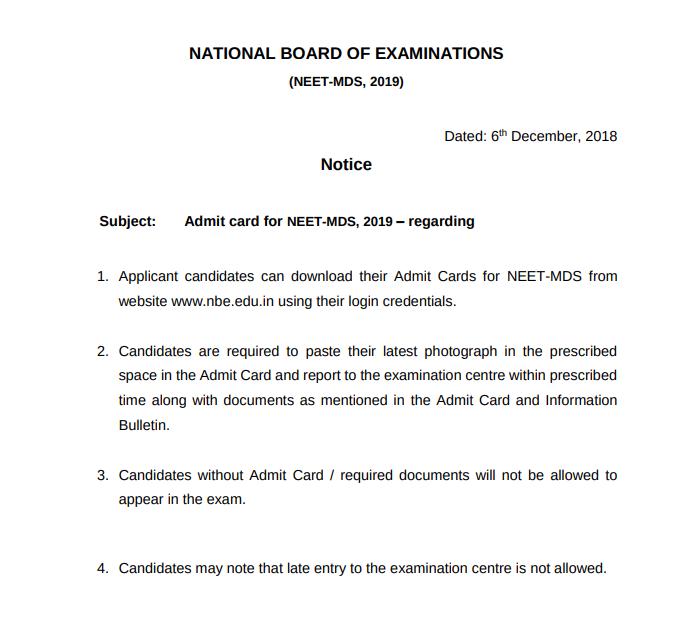 NEET MDS Admit Card 2019 – National Board of Examinations (NBE) started the NEET MDS 2019 mock test facility from December 11 onwards. The admit card was made available on December 6, 2018. Only those aspirants whose application form is accepted by authorities could download NEET MDS Hall Tickets 2019. Candidates downloaded the admit card using their candidate ID and password created while filling the application form. This year, NEET MDS was conducted on December 14, 2018, in computer-based mode. The admit card displayed the personal details, date and time of exam as well as exam centres details. After downloading the admit card of NEET MDS 2019, aspirants were required to paste a passport size photograph in the space provided as per the specifications. A mail will be sent to the registered email ID regarding the availability of NEET MDS Admit Card 2019. Students must carry the admit card to the exam centre along with ID proof. Check the details on NEET MDS 2019 admit card, steps to download, documents to carry and other related information check the article below. Candidates can check the dates of admit card and other events from the table below. 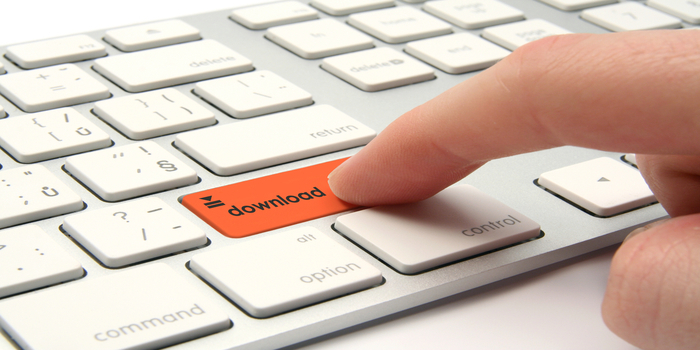 How to download NEET MDS 2019 Admit Card? The following step-by-step must be followed to download the admit card of NEET MDS 2019. 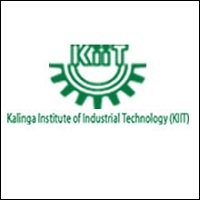 Click on the link: To download the admit card, candidates must click on the link provided on this page. What to carry with NEET MDS admit card 2019? Aspirants are required to carry the following document along with them to the NEET MDS exam centres 2019. Any candidate without any of the following documents will not be allowed to take the exam. What not to carry with NEET MDS admit card 2019? 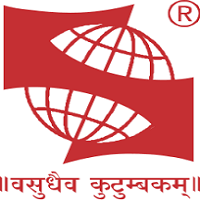 Any stationery items such as textual material (printed or written), notes plastic pouches, calculator pens, writing pad etc. Any electronic devices such as mobile, Bluetooth, earphones, microphones, pager, wrist watch, scanner etc. All ornaments like bracelets, ring, earring, nose pin, chain/necklace, badge, brooch etc. Any eatables items packed or opened, soft drinks, water bottles etc. Other items such as wallet, goggles, handbags, belt, caps etc. NEET MDS 2019 was a single window examination conducted across the country for admission to MDS programmes in government, private and deemed universities/colleges of India.